A beautifully attractive and well made tenor ukulele with the added bonus of a pickup. The tenor size ukulele is bigger than the concert, and produces an even deeper and fuller tone. 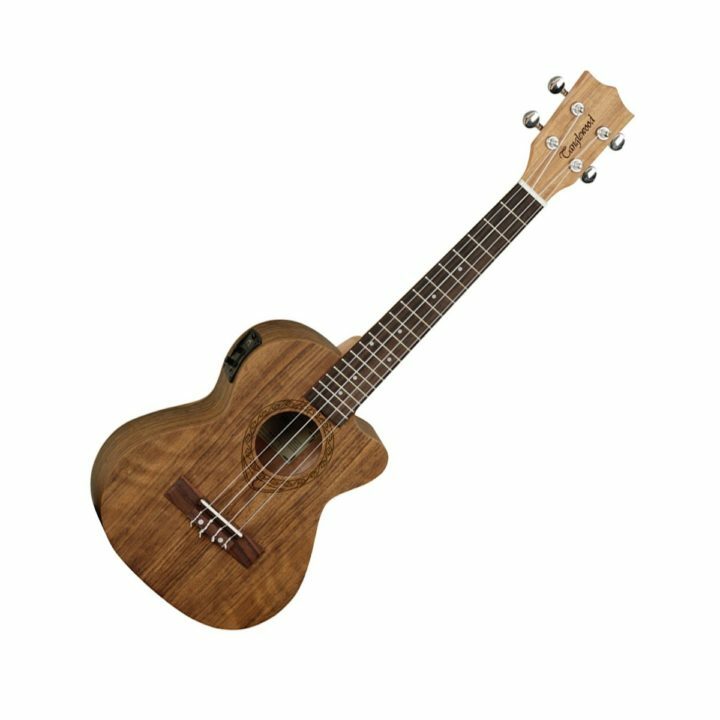 With the bigger size, the tenor ukulele is typically more comfortable and convenient for larger players. The tenor ukulele also has more frets due to the larger fingerboard and can produce a wide variety of sounds.